Newt Gingrich's Freddie Mac Ties Could Be Poison In GOP Race : It's All Politics In about a week, we've gone from Newt Gingrich saying during a debate that he was paid $300,000 to tell Freddie Mac "as a historian" to his firm being paid nearly $2 million by the mortgage-financing giant as a former House speaker to provide strategic advice. There's no telling what added details another week might bring. Newt Gingrich at the Iowa Republican Party's Ronald Reagan Dinner in Des Moines, Nov. 4, 2011. In about a week, we've gone from Newt Gingrich saying during a debate that he was paid $300,000 to dispense wisdom to Freddie Mac "as a historian" to his firm being paid nearly $2 million by the mortgage-financing giant for the former House speaker to provide "strategic advice." There's no telling what added details another week might bring. Reporters are now closely examining the Gingrich-Freddie Mac connection. That's largely because of Gingrich's ascent in the GOP presidential preference polls. Scrutiny increases when a candidate surges to the front of the field. But it's also because you didn't have to be an award-winning investigative reporter to suspect that Freddie Mac didn't hire Gingrich, the former college professor, to lead history seminars at its headquarters in the Washington suburbs. Gingrich has said that he didn't lobby for Freddie Mac and sources cited in NPR and Bloomberg News reports confirm that. But as NPR's Peter Overby reported on Wednesday's All Things Considered, in the nation's capital there's a way of being involved in lobbying without technically being a lobbyist. To decipher the Washington code, "strategic adviser" is the job title of choice for former members of Congress who tell lobbyists what to do but want to avoid the public disclosure required for registered lobbyists. His primary contact inside the organization was Mitchell Delk, Freddie Mac's chief lobbyist, and he was paid a self- renewing, monthly retainer of $25,000 to $30,000 between May 1999 until 2002, according to three people familiar with aspects of the business agreement. During that period, Gingrich consulted with Freddie Mac executives on a program to expand home ownership, an idea Delk said he pitched to President George W. Bush's White House. "I spent about three hours with him talking about the substance of the issues and the politics of the issues, and he really got it," said Delk, adding that the two discussed "what the benefits are to communities, what the benefits could be for Republicans and particularly their relationship with Hispanics..."
... Gingrich's second contract with Freddie Mac was a two-year retainer for which he was paid a total of $600,000, said two people familiar with the agreement. What he did for the money is a subject of disagreement. Gingrich said during the CNBC debate that he advised the troubled firm as a "historian." Gingrich said he warned that the company's business model was a "bubble" and its lending practices were "insane." None of the former Freddie Mac officials who spoke on condition of anonymity said Gingrich raised the issue of the housing bubble or was critical of Freddie Mac's business model. 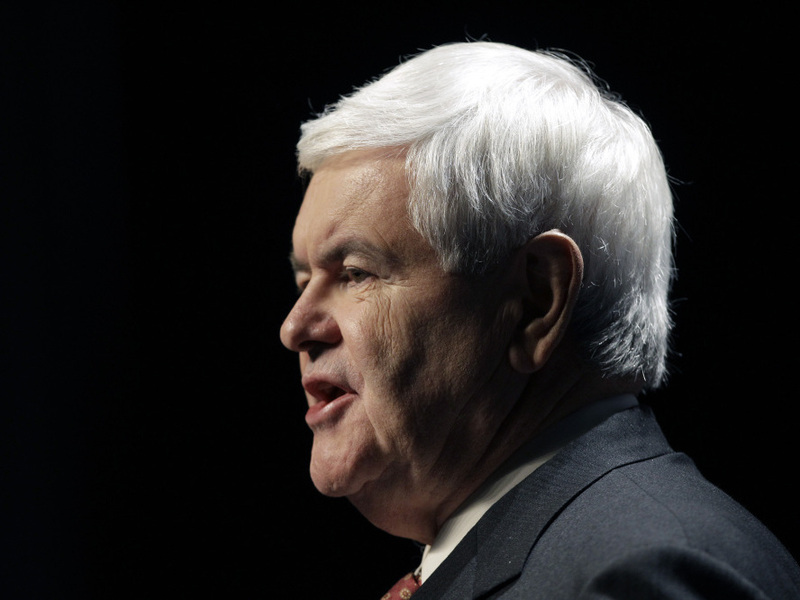 Here's why this story could be poison for Gingrich. For many conservatives, the mortgage giants Freddie Mac and Fannie Mae are the villains at the heart of the financial meltdown. The theory goes that the government-sponsored entities and their Democratic enablers on Capitol Hill wanted to increase minority home ownership so badly that they pressured banks to hand out mortgage loans like campaign fliers, and against their will, to so many credit unworthy and unscrupulous borrowers that it eventually collapsed the economy. The less partisan explanation for the housing crisis spreads the blame around more broadly. It includes Wall Street firms that created new and complicated ways to package debt securities to sell to often sophisticated but still unsuspecting investors who were chasing higher returns and credit rating agencies that gave their highest ratings to risky financial products. One of the best explanations of what happened is This American Life's "The Giant Pool of Money" program produced by NPR member station WBEZ in Chicago. That said, if you're trying to get the Republican presidential nomination, it's probably not too helpful to be closely associated with Freddie Mac. And receiving nearly $2 million would seem like a fairly close association in the eyes of most people. So his Freddie Mac ties could become something of a drag on Gingrich's momentum.